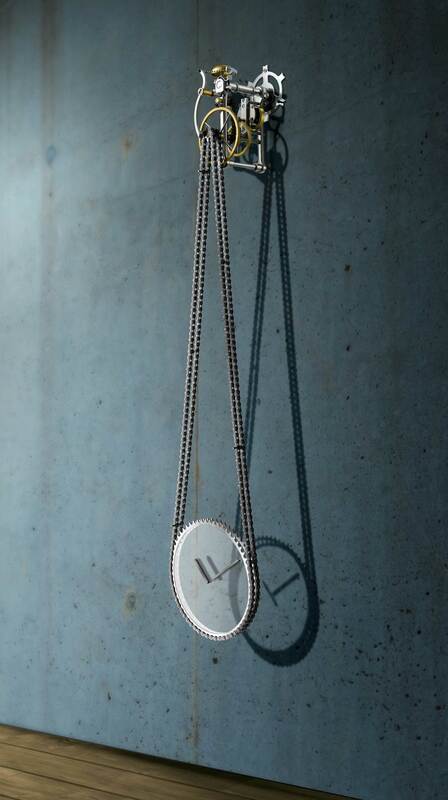 It was in the mid-nineties that a young industrial designer in Amsterdam, Maarten Kraanen, was dreaming about creating a clock that was different than anything that was ever made. 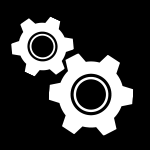 His idea was to design and make a wall clock where the connection between the mechanics and the dial was separated, eliminating the usual gears or rods. In Maarten’s own words: Time, as an experience, that moves and flows. That’s why my clocks do not tick…I wanted to make a clock which tells the time in the way I see it: as a physiological experience, as something you undergo. Being a Dutchman, he loved biking and one day, during a long trip, the light bulb came on…what about using a chain to transfer the movement? He started working on the idea and then decided not just to use a bike chain but more bicycle parts. The TimeMachine was born! Not only standard bicycle chains are used but also the basic bicycle components as a crankshaft, spokes and a real old fashioned bell that will ring start every hour with a discreet high ring tone. The TimeMachine is not driven by a spring or a weight, but by a small, silent 110 Volt 60Hz synchronous motor that therefore always runs exactly on time. 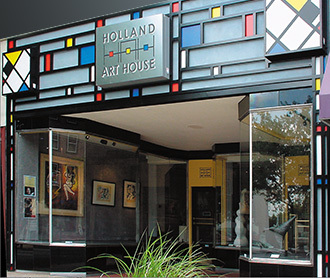 Holland Art House started in 2002 as a contemporary art gallery located in the small historic town of West Chester, in the Philadelphia suburbs in Pennsylvania. The founder Ben Gall, who is a restless and creative Dutch businessman, came to the USA in 1991 to start the operations of a European High Tech company. Being a passionate art collector he decided, after his retirement, to turn his hobby into a job. The gallery was quite successful, but as the world is changing the gallery has evolved into a web site to now serve customers more easily nationwide. Maarten’s masterpiece got a lot of international attention and was right away bought by the Central Museum, located in The Netherlands. The official registration at the museum is # 28147. Years later a famous retired landscape architect and art lover by the name of Henk Weijers, visited the museum and when he saw the TimeMachine fell totally in love with it. He contacted Maarten to ask him if you could buy one, but the artist told him that he never intended to make more than just one. Then, Henk Weijers together with a retired very handy fireman friend with a professional workshop started making a very limited number of TimeMachines of which only 21 came to America. 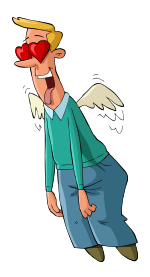 Sadly Henk passed away fully unexpectedly in 2006 and the production stopped. 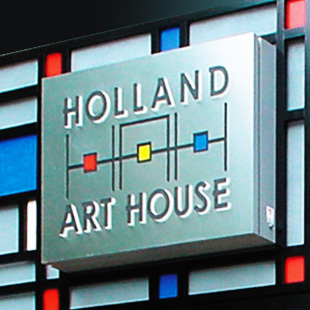 In 2003, during one of his annual trips to The Netherlands, the Holland Art House founder visited a very good friend in downtown Amsterdam who owns a lovely art collection. In the living room (see photo), next to two of our own Andy Warhol paintings, he noticed the TimeMachine. He fell instantly in love and decided on the spot to start selling this incredible clock in his West Chester, PA art gallery. At Holland Art House we kept on getting requests for the clock which made us decide in 2012 to start producing the TimeMachine, in very limited series , ourselves. Not in Holland or China but Made in the USA! Some parts had to be imported but 80% of the clock parts are made by carefully selected American craftsman in small machine shops and finishers in Alabama, Pennsylvania, Michigan, Florida and New York State. Assembly and fine tuning is done by our friendly and skilled “artsy geeks” with a tremendous attention to detail & high quality. ← Hover over the image to zoom. Remember to Turn Your Sound Up High! has arrived at your home! The 2 chains, one regular chain and one with the six brass pieces. Three of these brass parts (the ones with the thin pin that sticks out of the chain) will trigger the ringing of the bicycle bell every hour. It is very easy to dis-engage the ringing of the bell. See the Installation & Maintenance instruction sheet in the “Techie Stuff” section for details. 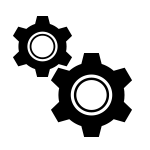 The 2 dials, one with a short hand for the hours and one with a long hand for the minutes. Unpack carefully, the dials have glass inserts. Your TimeMachine will require just regular 110 Volt 60Hz power and the best way is to have your electrician install an outlet wall box in the wall, just behind where the top of the clock will be hung on the wall. This box should be covered with a nice plastic or thin metal, preferably, round cover that could be painted in the color of the wall. The thinner the cover the better! The clock will be installed on top of this cover, often one of the screws of the cover can be used to hang it or, depending of the wall type, you can hang it with a screw which is just above the power box. A small hole should drilled where the wire of the clock motor will enter the outlet box . The connection of the 3 wires, blue and orange for power and green for ground, will be invisible in the wall box. That’s all, after the outlet box is installed, hanging and putting the clock together requires 10-15 minutes of work. Please read in advance the instructions which are in the original carton and posted on our web site. 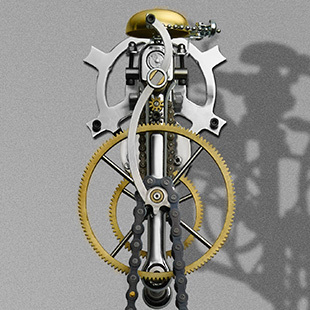 And now even more fun times are starting, because nearly anybody that enters your house will notice the TimeMachine quickly and probably will spend quite some time to find out “how the heck” your new clock, based on bicycle parts, is really working. And if you are able to put a spotlight on it from one or two sides it will create the most intriguing and beautiful shadows on the wall. The TimeMachine is priced at $2,950. The price includes shipping by USPS Priority Mail, signature for receipt will be required. 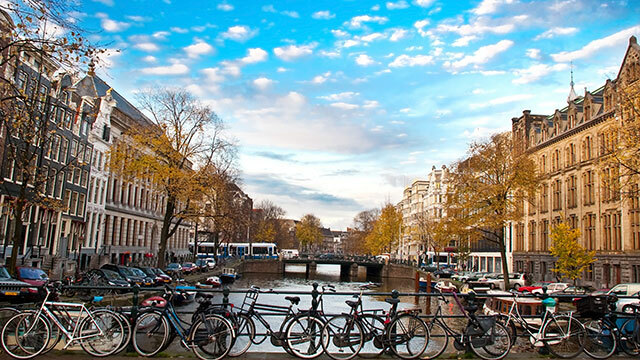 The small and wealthy country of The Netherlands, often also called Holland and its beautiful capital of Amsterdam, has a remarkable history. Located between Germany and England, with the North Sea in between, it has played an important role in conquering the world, establishing colonies (New York was once called New Amsterdam! ), shipping, trading and ……The Arts. From Rembrandt and Frans Hals to Mondrian, Van Gogh and Karel Appel to super architects like Rem Koolhaas, this small sliver of land and water, with 16 million inhabitants, has created a legacy that is quite special. 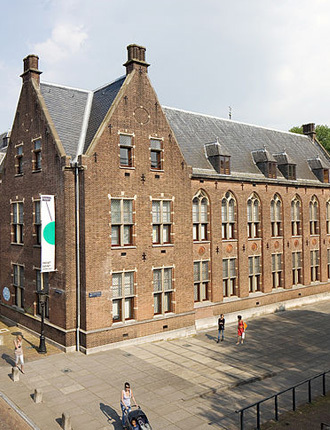 The Arts has always received a lot of attention in The Kingdom of The Netherlands, in education as well as in supporting aspiring artists to create innovative ways to express themselves. The Dutch already know for ages that Art bonds people and creates enjoyment and happiness! 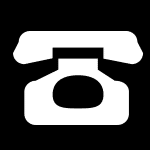 Please contact us for questions and/or to share your experiences with our works of Art. 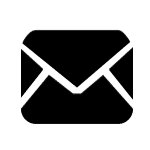 You will find out that we respond quickly. And remember, we love Art and Art lovers! 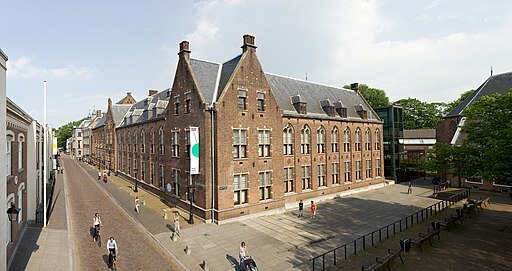 Gall & Gall, Inc- dba Holland Art House. The TimeMachine is currently only available with a 110 V 60Hz motor. Other power versions are planned for the future. The power consumption for the USA version is very low, only 25Ma (mill-ampere). 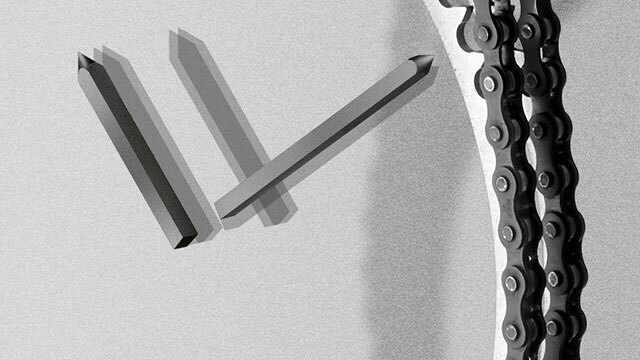 The clock is not battery powered because the heavy gear, chains and sprockets would drain batteries in only days.